We run trials and tests continually to provide the best possible product and advice. 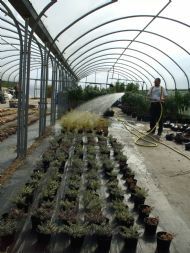 All of our staff are highly qualified, and can advise you how to get the best from your plants or projects. In addition, we are developing new and better ways of horticultural and agricultural water useage all over the world. Although much of this work is currently confidential, we can and do extrapolate from it to assist customers working in difficult conditions. 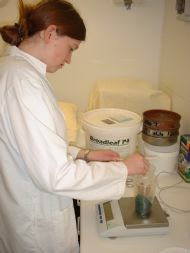 We also have some unusual areas of expertise- for example, Paul, our applications expert, has worked with the polymer for more than 20 years, and along the way has used it to duplicate the conditions in a human intestine, raised various species of invertebrate by using it as a food and water source, and carried out extensive trials in hot conditions while ‘on loan’ to Indonesia. As a result, we are uniquely qualified to assist you - whether for growing a few plants in the back garden, putting in large landscaping projects, or some of the more unusual projects!